Sometimes, the significance of a construction project is much greater than the actual building or structure. 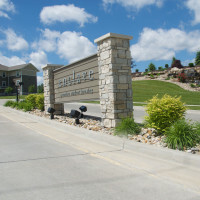 Such is the case with the Enclave student apartments in Edwardsville, IL. 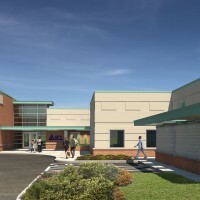 “One of the most significant things about this project is what it means for Edwardsville,” said Mark Hinrichs, president, Impact Strategies, the construction manager on the project. The project is a step forward toward the goal of making a major university of Southern Illinois University-Edwardsville. The Edwardsville campus of Southern Illinois University (SIU-E) was founded in 1957 as a commuter campus and remained as such for almost 40 years. Twenty years ago, however, the school began transitioning to a more traditional, residential college model. Undergraduate enrollment has grown significantly and the first campus dormitory was built in 1997. 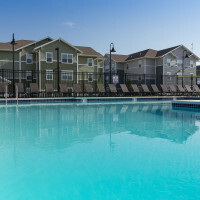 Other than the dorms recently built on campus, however, there was no student housing available in the Edwardsville community before the Enclave opened this year. “Students were spread out in single family housing and small apt buildings,” Hinrichs said. At most major colleges, “twenty-five percent of student housing is on campus and owned by the university; another 25 percent is off campus, but was purposely built for students; and the other 50 percent is older, repurposed housing,” said Randy Churchey, CEO of EdR, one of the largest and most successful developers of student housing in the country. The 3,500 beds in university-owned dorms and student apartments on campus at SIU-E were enough for almost exactly 25 percent of the roughly 14,000 students enrolled at the school, but before the Enclave opened this year, there was no purposefully built student housing off campus. In part, that reflected the city’s long-term ambivalence to the university. “Fifty-five years ago, when SIU-E started, Edwardsville didn’t embrace the idea and pushed it to the outskirts of town,” said Jamie Henderson, principal, Henderson Associates Architects, the project architect. “In the last decade or so, the university has become more integrated with Edwardsville. This student housing is integrating students with the community. The university and the city are working well together these days and this is a nice element to help unify them more,” he said. That is not to say that there weren’t any city residents opposed to the $20 million project, but the developer, Corey Wenzel, carefully stayed within the existing zoning restrictions to avoid controversy. A previous developer had plans for a dense apartment complex on the site, but had tried to change the zoning and get a PUD (planned unit development) designation. “That required public meetings with neighbors and council approval. It was controversial and faded away. Corey took the same idea, but had us stay within the parameters of the existing zoning so that he was not required to have public meetings and public input,” Henderson said. As for any requirements the city had regarding esthetics, “we addressed them early on,” he added. 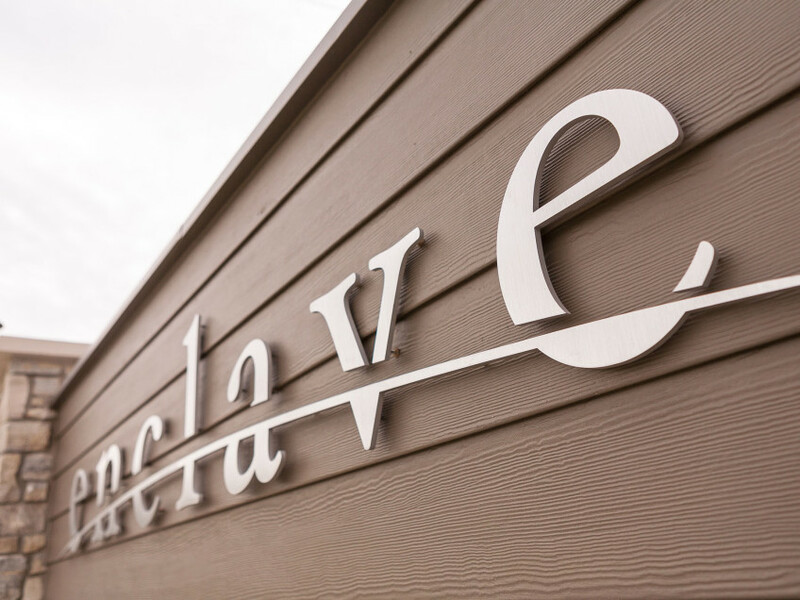 The Enclave consists of eight, identical three-story buildings with five apartments on each floor, plus a clubhouse with a pool. Each apartment building has 18,000 square feet of space (6,000 per floor). “Taming the site to accept development was by far the biggest challenge,” Henderson said. “There are retaining walls that exceed a million dollars in cost. One is 800 feet long and 40 feet high,” Hinrichs said. The overall layout came together quickly, with the number of buildings dictated by the parking. To get the maximum density possible without having to invest in elevators meant the buildings would be three-stories tall. “We quickly established that we could get 352 beds and parking,” Henderson said, with the beds distributed in two- and three-bedroom units. Henderson Associates worked with civil engineers Crawford, Murphy & Tilly to organize the buildings and specify grading to make sure water drains and flows appropriately. “The site lent itself to a center road that meanders up through the development,” Henderson said. All the buildings face the road and parking is tucked behind each building. Impact Strategies had a $15 million contract for the complete turnkey development of the site and buildings. “We broke ground in September (2011), understanding that there was a major amount of site preparation necessary before we could install building foundations. We expected to take six-to-seven weeks to get to the point where we could install the first building pad,” Hinrichs said. Delays in getting permits, however, pushed the start of the first foundation back into early December. All of the bedrooms were preleased by January, “so the pressure was really on,” Hinrichs said. It gave a whole new meaning to the term “aggressive schedule.” They had eight apartment buildings, a clubhouse, roads, and parking to complete in seven months. The delay did prompt Impact Strategies to reconsider how to construct the buildings, however. They jettisoned their original plan to stick build each building on site in favor of prefabricating wall panels and roof trusses off site. “BAM Contracting (the carpentry contractor) worked with us to outsource the entire project to Ozark Structures,” Hinrichs said. They had the first building done and punched out by the end of April and two more completed in June. Construction of the last building took only 10 weeks from start to finish, and it was turned over to the owner at the end of July. “The biggest challenge was engineering, building, and testing the retaining wall,” Hinrichs said. They had to get the biggest wall up and back filled before they could start the foundation for the last building. Rosch Co. built the massive wall. “We started in March and worked two shifts to haul in thousands of tons of rock to backfill behind the wall. We got done the second week of May. We then started the last building and it was ready to punch out by the end of July,” Hinrichs said. 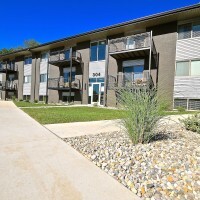 Student housing is different from a traditional apartment building. To start with, they rent beds, not apartments. In a three-bedroom unit, for example, each student pays rent on his or her own bedroom and doesn’t have to worry about filling the other bedrooms. The manager of the apartment complex does that. Student housing companies typically have “roommate matching” services to fill the bedrooms in each apartment and activity directors to promote socializing among the tenants. Each bedroom at the Enclave is designed for a bed and a desk and comes with its own bathroom. The shared spaces in the apartment consist of a living room, a kitchen, and a laundry room. “It is designed to be accommodating to students, durable, and safe,” Henderson said. A lightweight concrete topping was applied to all the floors for fire safety, durability, and sound insulation. Fire sprinklers were installed in all apartments. There are double layers of drywall between apartments and bedrooms, again for fire safety, durability, and sound insulation. The exterior features stone, brick, and fiber cement siding. “We considered durability and maintainability in selecting products and finishes,” Henderson said. That instant success has prompted Wenzel and his partners to begin a second student apartment project, the Enclave West, bordering the SIU-E campus at New Poag Road and Northwest University Drive. “Enclave West will be as close as you can get to the University without actually living on campus,” Wenzel said. The project will be built in stages until it is twice the size of the Enclave. The first phase of 336 beds is slated to be available for occupancy in August 2013. It will be similar in appearance to the Enclave, but have a “somewhat different layout,” he said. It will consist of four-bedroom and two-bedroom units. Wenzel is not concerned that declining college enrollments across Illinois could signal a reduction in demand for the kind of housing he is developing. Enrollment at SIU-E has plateaued at just over 14,000 after increasing almost every year from 10,600 in 1980. That stands in sharp contrast to the enrollment trend at SIU’s main campus in Carbondale. Enrollment there has fallen for eight straight years. At 18,847 it now stands 24 percent below the peak level reached in 1991. Wenzel is a graduate of SIU-E himself, as is his father. “Cities all over the country want universities and the people that come to them. Edwardsville is getting it,” Hinrichs said.